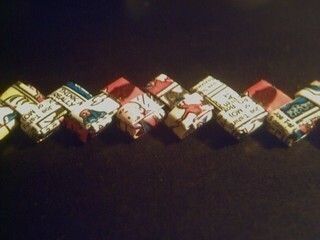 Just a gum chain bracelet made out of the comics that come with Bazooka gum. 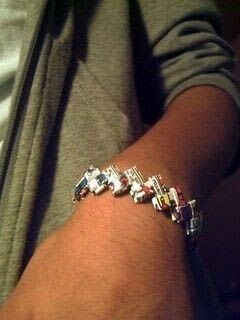 How To Make A "Wrapper Chain"
This is sick dawg! 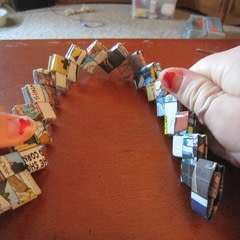 i finna gunna do dis when i find a comic! whoah, never thought of that... are you filipino bro? 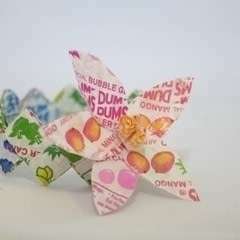 it's actually the same as doing the starburst bracelet. Hi. Could you put up a how-to of how to fold and link the comics? Thanks. That's a really good use for those comics, I have a bunch of them saved up!